Solar is the new black. With the renewable energy source providing over 10% of the energy for the United States alone, hundreds of thousands have already made the move to go solar. It puts money back into your pocket, is great for the environment, and is quickly becoming the preferred electricity source for Floridians. Deciding to go solar is the easy part. The difficult part… selecting which solar energy installation company to proceed with. Don’t sweat! Instead, check out these essential tips for narrowing down and selecting the best solar company to fit your needs and budget. Certified solar contractors can make the difference in installation time, permanence, dependability and overall quality throughout the entire process. The golden standard accreditation is the North American Board of Certified Energy Practitioners (NABCEP). Here at Superior Solar, we are proud to have multiple NABCEP-certified personnel in both water heating and solar electricity. Don’t be afraid to ask for your potential contractors accreditations! It shows validation of experience and knowledge in the industry; that they are willing to go above and beyond. Most people know that before you invest in a product or service, always read the reviews of those that came before you. Platforms like Google Reviews, Facebook Reviews, etc., can really give transparency and honest insight. A stellar company will have awards such as the “People Love Us on Yelp” accolade, “Angie’s List Super Service” award or the “Better Business Bureau A+” rating. These show a high volume of people giving consistent positive feedback on their experience with the company. We treasure all of the awards we have earned to date, such as the ones mentioned here. Find a contractor in whom your community puts their support and seal of approval! The Better Business Bureau works to ensure a business’ elements of creating and maintaining trust for their consumers. Google the companies you’re considering to see how many Google reviews they have and what customers all over the internet think of them. Solar is a cutting-edge-technology that is expected to operate for decades after installation; you want someone who knows exactly what they are doing and will be around for the long run. When it comes to any sort of home improvement contractor, having an extensive performance record and industry acumen is necessary. Inquire about the company’s project record; how many installations have they completed? What is their ratio of success rate? How long have they been around? That will tell you if you’ll be working with a company who has a history that backs up their claims. For example, Superior Solar has completed over 230,000 solar projects, all throughout Central Florida since 1984. Remain worry-free when it comes to your solar energy system. A great contractor will answer a call for help in the instance of an unforeseen event within minutes, guaranteeing your complete satisfaction. Superior Solar has you covered. Our systems come with comprehensive warranties of up to 25 years. 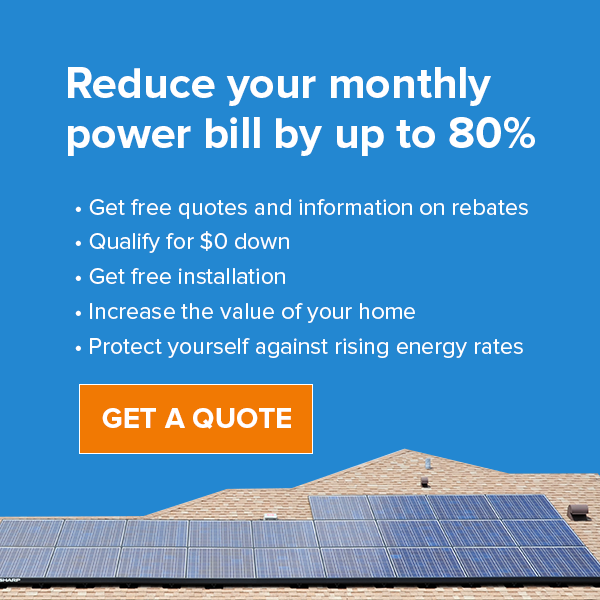 If you’re considering a solar company that has been around for less time than their warranties, be cautious. Understanding all of the paperwork and incentive offerings can be overwhelming. An ideal solar installer will have the full scope of local incentives and all necessary filing needed. Energy Specialists should be upfront and have the entire process streamlined. If you are interested in financing, look for a solar contractor that not only offers the choice, but can also direct you to customized options at attractive rates. The payment amount should usually be what you would normally pay for the electricity, allowing you to lock in today’s rates for the future, ensuring your price for electricity will never rise. Superior Solar has close relationships with banks and lending companies willing to provide our customers with exclusive rates as an incentive for going green. Never hire a company who advises you to invest in your solar project in a questionable way. Solar licensing and certifications vary by state. In Florida, installers MUST have their business license visible on all marketing and business materials. Solar Contractor Licenses begin with “#CVC” and a string of 5 numbers. Certified Pool/Spa Contractor Licenses begin with “#CPC” and a string of 7 numbers. Once you find it, look it up online. All states have a website where you can look up the contractor’s license to verify it’s truly that contractor’s license and to review their record verify no complaints or regulatory actions have been taken against them. If a contractor is hesitant in sharing their licensing information, that is a red flag you should be wary of. If you’re interested in learning more about choosing your next solar contractor, or have general questions on the process and benefits, feel free to contact us at 407.331.9077.